It’s rare to find a skin care line that doesn’t market based on gender or through pointing out made-up flaws. The products offered by Just the Goods are pared down where they need to be—in external glitz and lofty promises—leaving just what is needed, often with a sweet-smelling flourish. 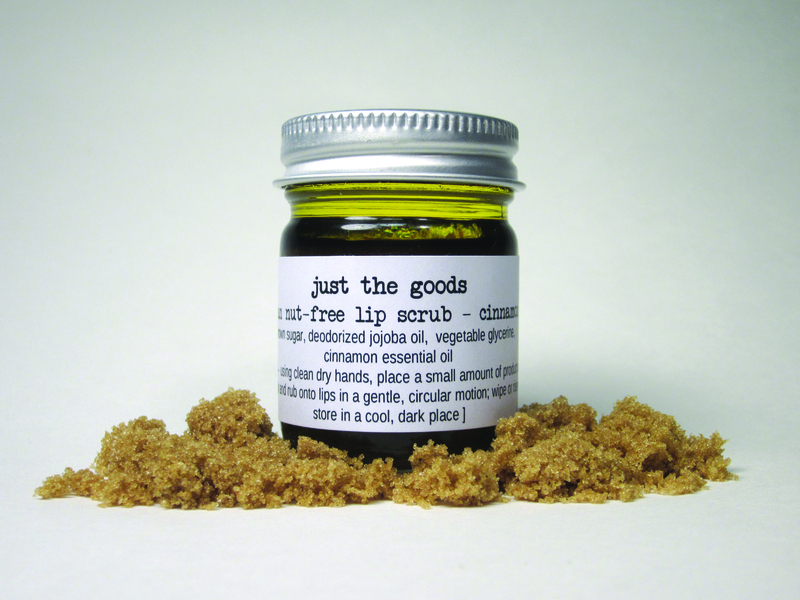 I use the lip scrub as a tasty treat for sun or wind-chapped lips, and the hand and body lotions are the first I’ve found that haven’t left me vacillating between itchy reptile skin and an oily mess. The business practices are just as balanced and transparent, which makes Just the Goods truly affordable for basics, and an easy splurge for tiny luxuries. After hearing “Awesome purse, where’d you find it?” answered with “Snootsie” twice in one day, my curiosity was piqued. Tesh Kosowan’s purses are gorgeous, but her vintage-style bicycle bag really took my summer to the next level. It’s rugged yet stylish, and deceptively spacious. If it’s full, external d-rings add the option of strapping an extra sweater or picnic blanket on the outside. I didn’t have a compatible saddle; Kosowan went the extra mile and offered a hardware set that made it work perfectly. I had fallen out of love with toast until I discovered Flora and Farmer’s “delightfully daring” jam combinations. The smaller jars offer an opportunity to experiment with flavours like Hot & Smokey Tomato & Pineapple or Maple Ginger Blueberry. It’s hard to pick a favourite and I’ll probably keep exploring the impressive roster of tastes for many breakfasts to come. Liang’s silk-screened re-imaginings of local iconography always inspire a chuckle. When I saw his Louis Riel-Vuitton design, which weaves symbols for Confusion Corner, the Jets, and Salisbury House into the high fashion designer’s classic pattern, I realized that it was time to buy myself a little gift as well. I’ve often been torn between fashion and function – between comfort and the desire to carry my belongings on my person. The Lennard Taylor holsters changed all that, offering wearable pockets and making me question my need for a purse. They’re well-made, adjustable, and fashionably versatile – well worth saving up for. 1 Comment on "Local makers"